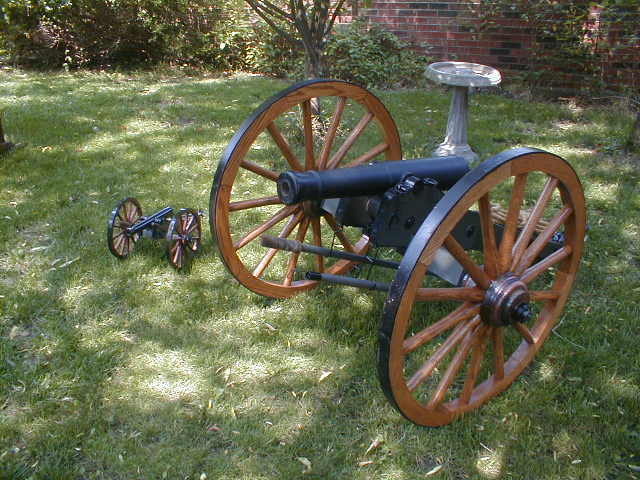 The 1/3, 1/2 scale 6 Pounder and full scale Mountain Howitzer black powder cannons are cast out of solid ductile gray iron. 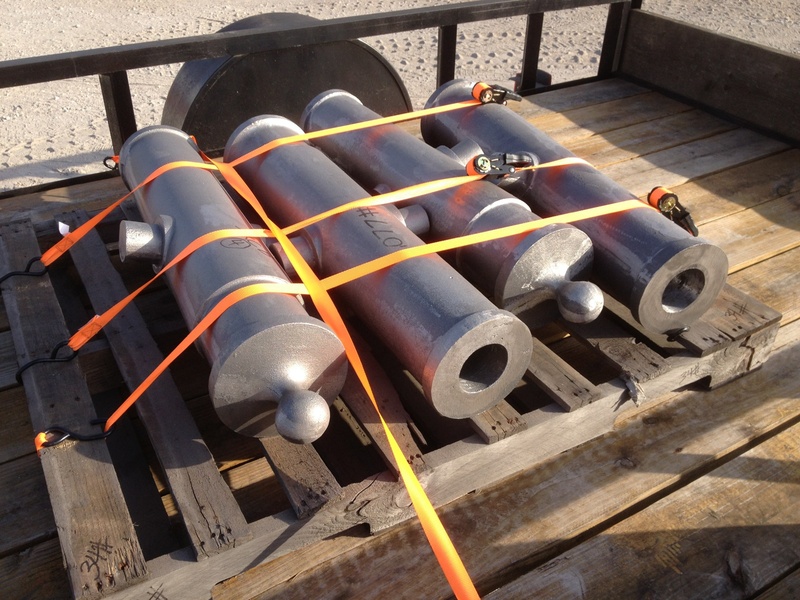 All barrels also have heavy duty seamless steel liners with 70,000lbs tensile strength with the full scale having a .3750 wall thickness. 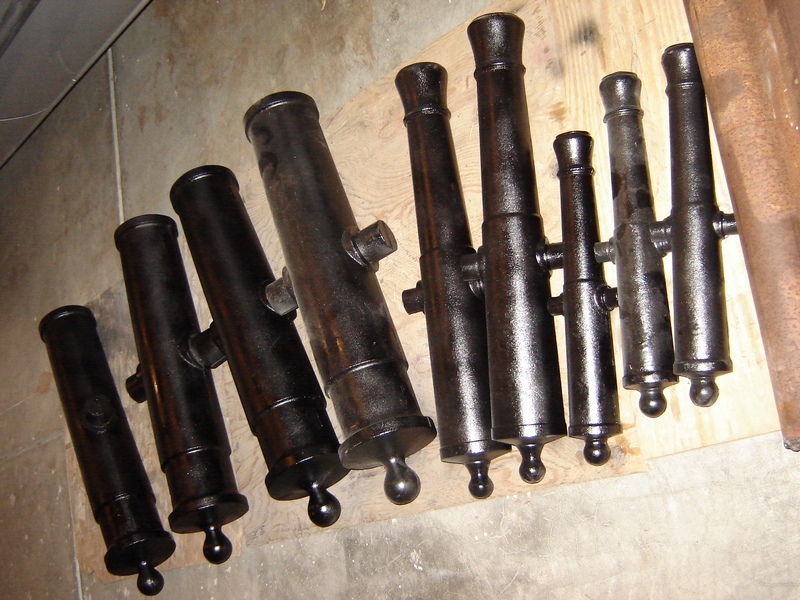 These cannon barrels are cast, cleaned and ground out of the mold. 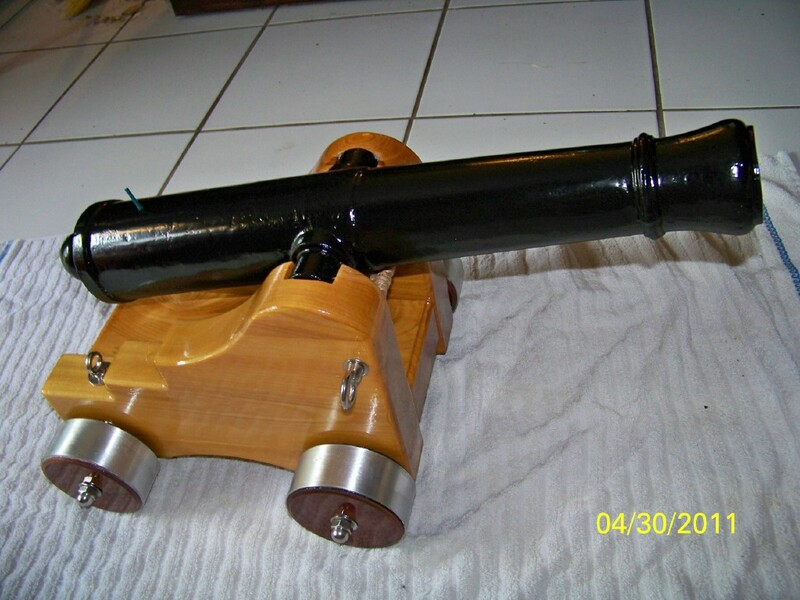 Barrels can be bought solid for drilling your own bore in the diameter of your choosing. 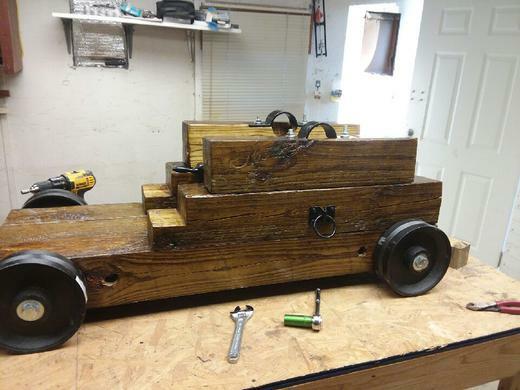 Fuse holes have not been drilled. 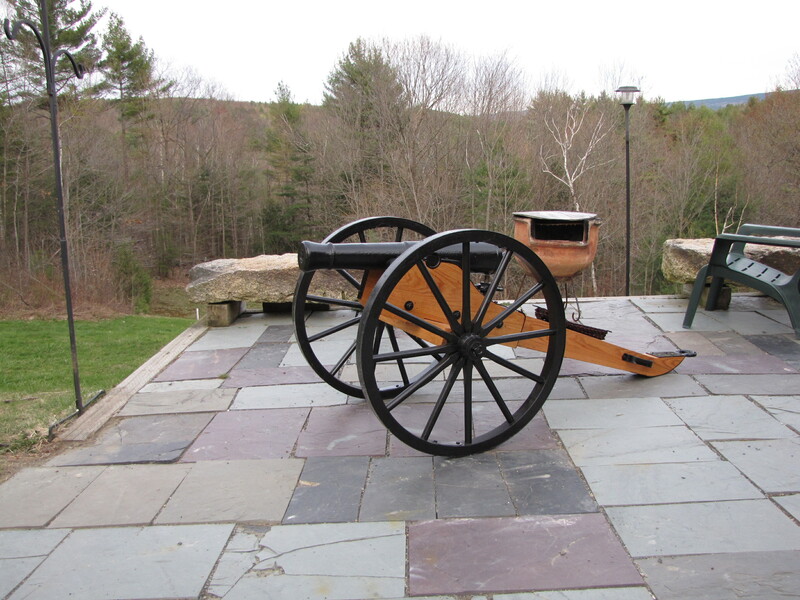 Each cannon barrel comes with a copy of the original drawings for the field carriage, instructions on how to build the wheels along with safety-firing information. 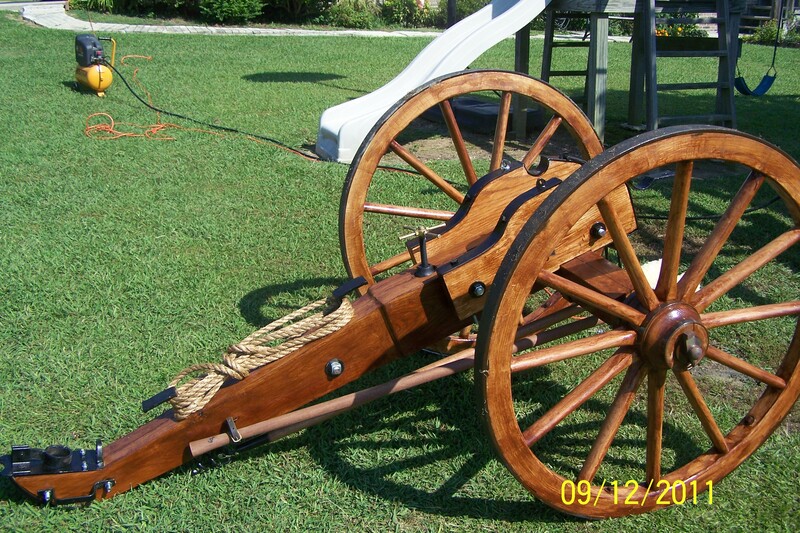 All cannons have seamless steel liners and are shipped UPS or Fed Ex Freight. 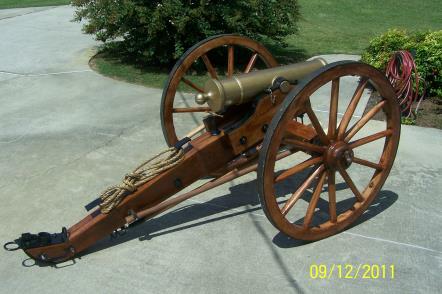 During the Civil War the Six Pounder (6PDR) Model 1841 was used extensively by both Union and Confederate Armies. 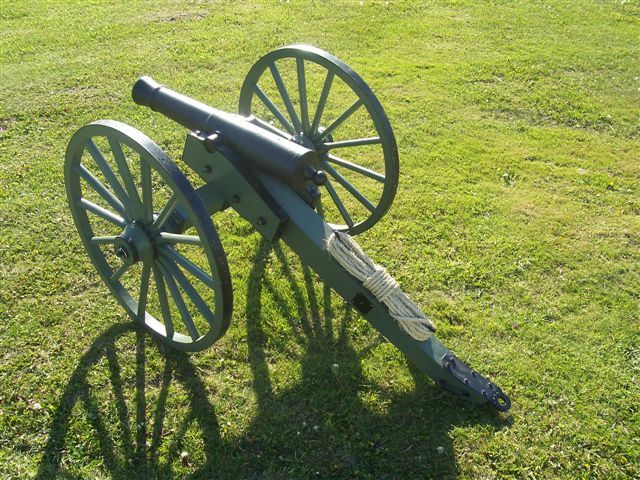 The 6 Pounder remained through out the conflict and were used in all most every battle. 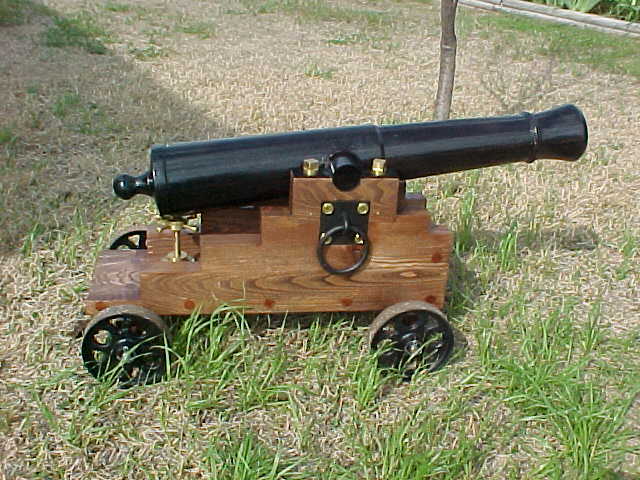 The original full scale 6 Pounder is 65" in length, weighs 885lb, has a 3.67" bore and used 1.25lb of blackpowder per shot. 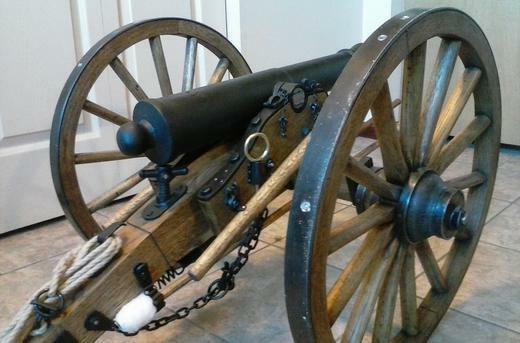 At only a 5-degree elevation it could shoot a 6-pound projectile over 1600 yards. 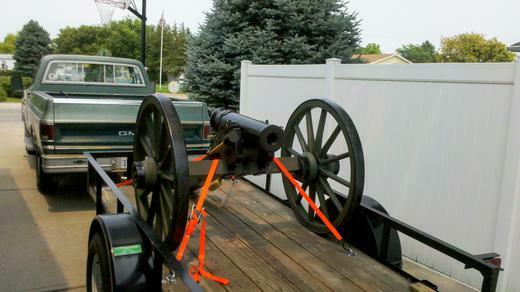 The field carriage weighed 1500lb. 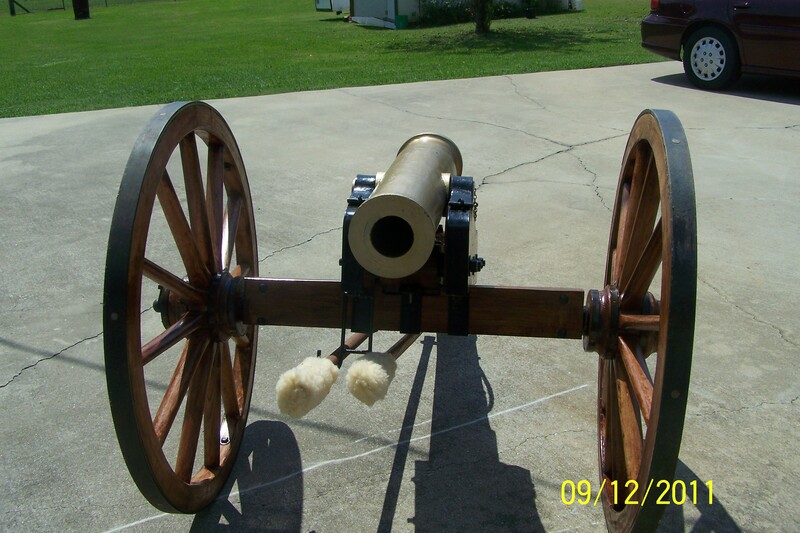 Solid Shot- (non-explosive) A round ball was used against enemy artillery, wagons, buildings or fieldworks. 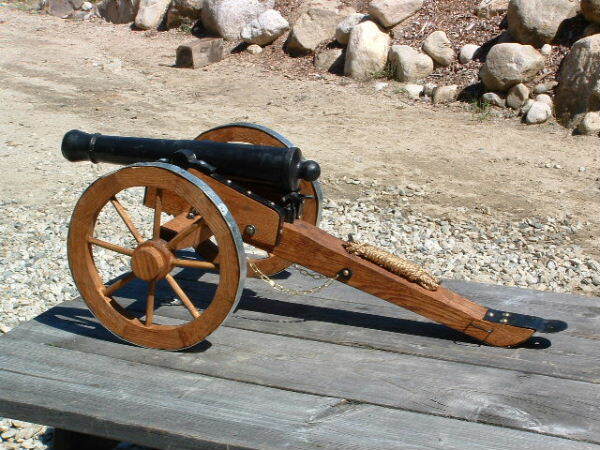 It was very effective in penetrating through columns of tightly packed troops. 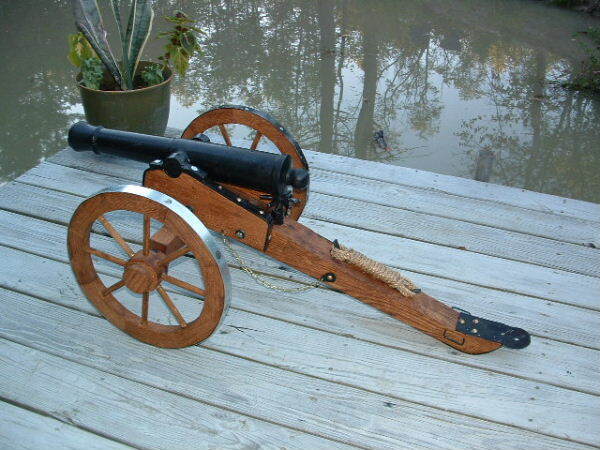 Spherical Shell- (explosive) A hollow round ball filled with gunpowder with a thick sidewall. 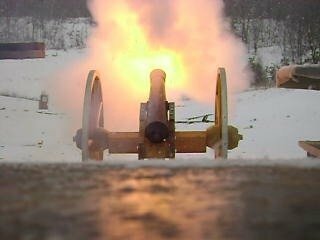 A paper time fuse ignited by the discharge of the cannon burnt down to explode the round. 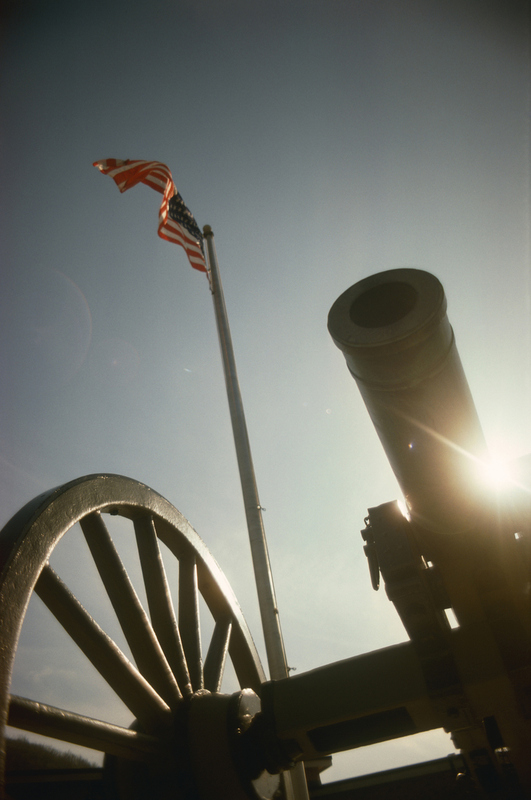 The shell was to be exploded before reaching enemy troops so the forward motion of the shrapnel showered the target. 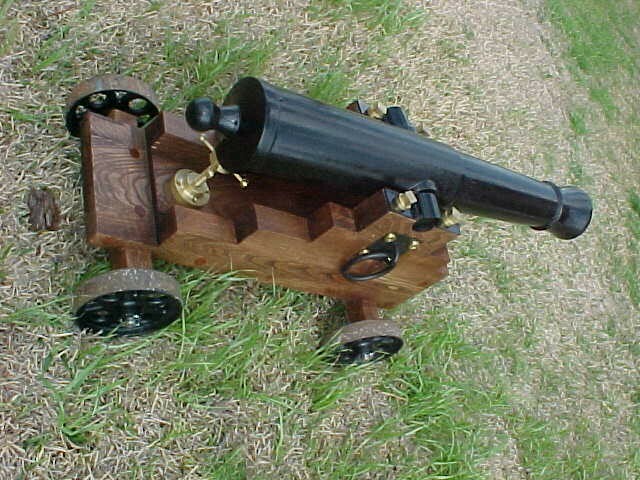 Spherical Case Shot- (explosive) A hollow round ball filled with gunpowder and lead or iron balls. 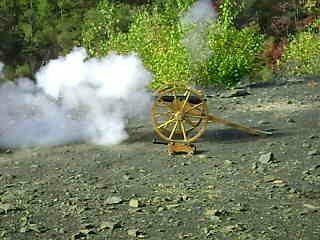 It also had a paper time fuse ignited by the discharge of the cannon. 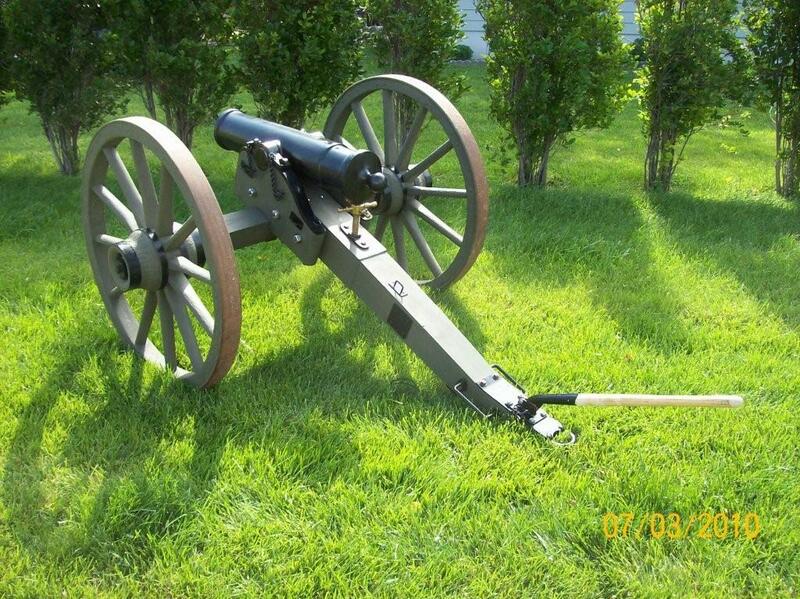 It too was to be exploded before reaching enemy troops so the forward motion of the shrapnel would shower the target. 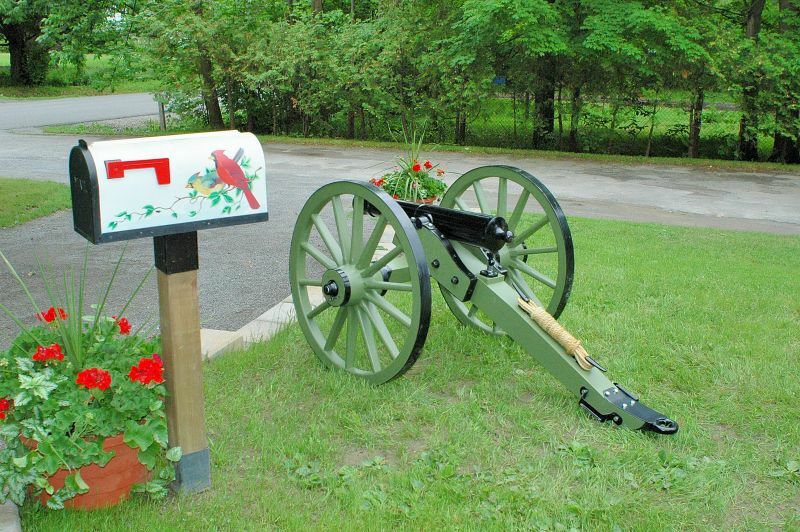 Canister- (non-explosive) A large cylinder shaped tin can filled with lead or iron balls. 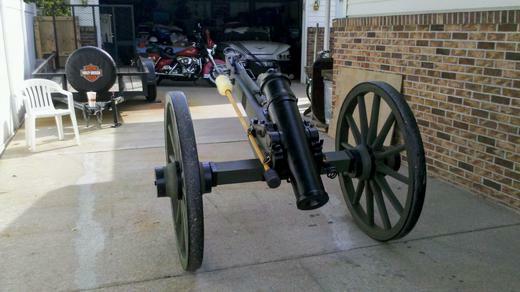 It was used as a giant shotgun. 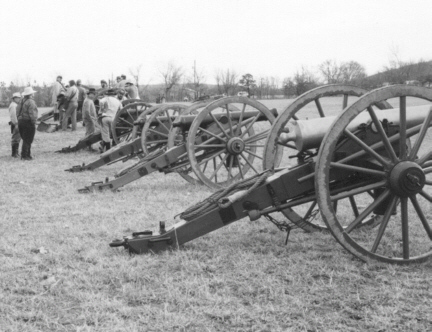 Loads were switched over to canister when enemy troops were 200-300 yards out and closing. 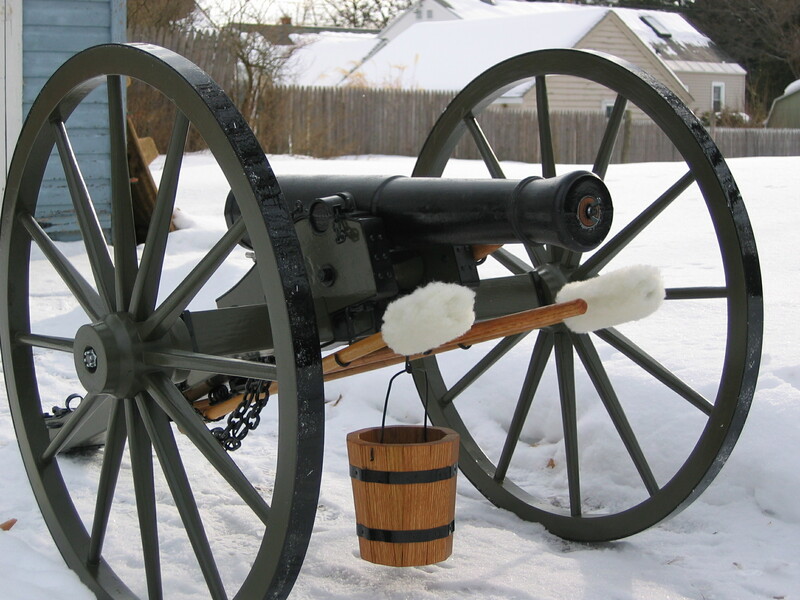 During several battles it was noted that two and three rounds of canister was loaded at one time as a last resort before being over ran. 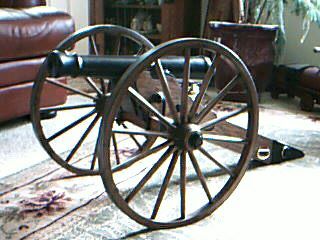 Many original 6 Pounder survive today and can be seen in most Civil War Parks. 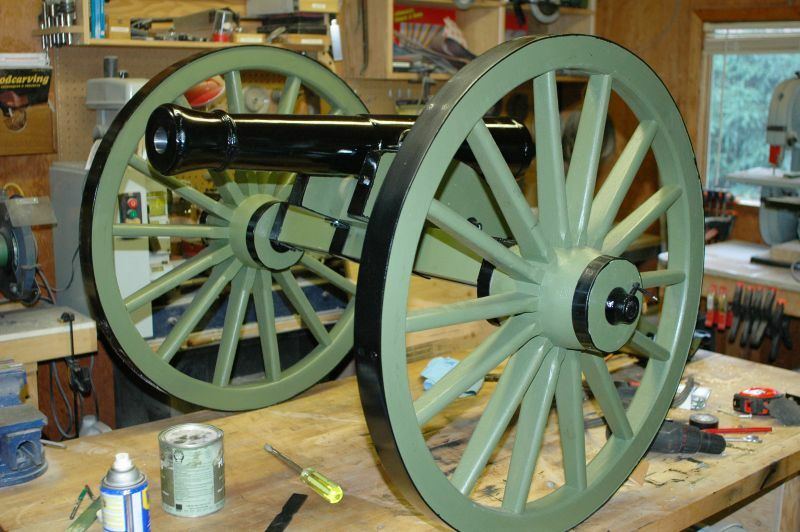 We are not responsible for the illegal or misuse of the cannons or any altering done by the customer. 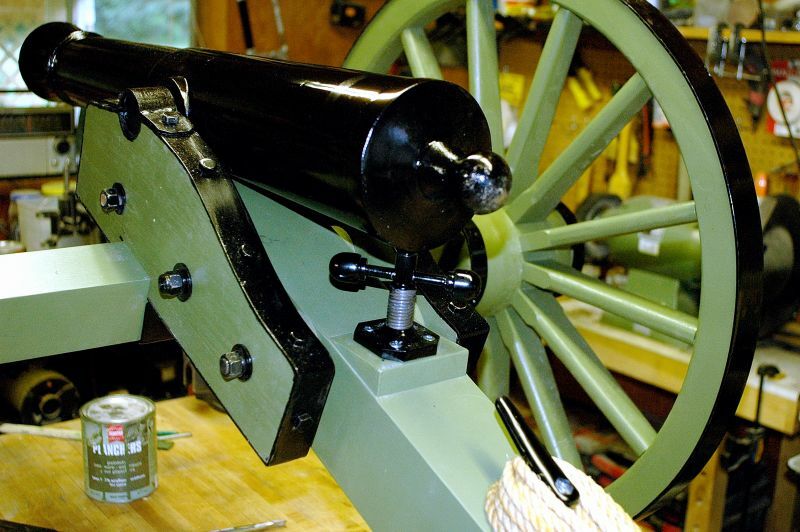 It is the customers responsibility to have knowledge of black powder firing and safety. 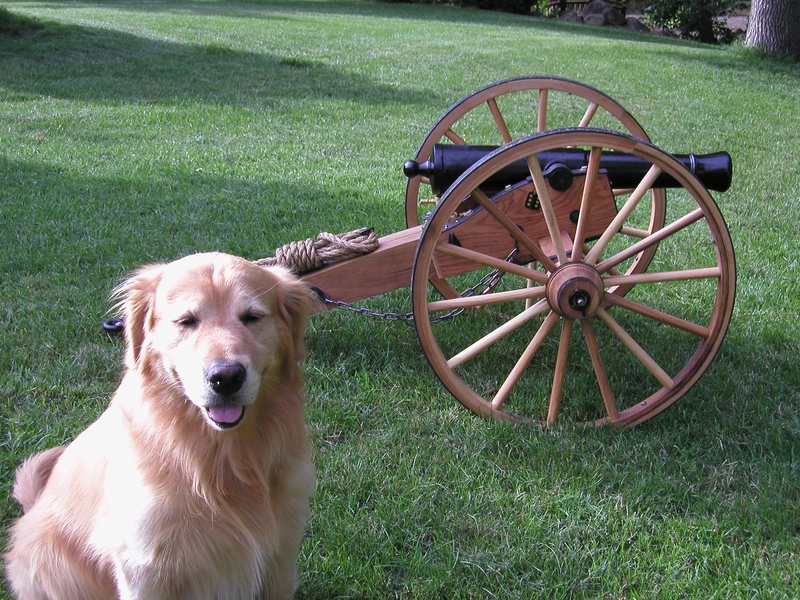 Cannons are sold as ornamental display pieces only. 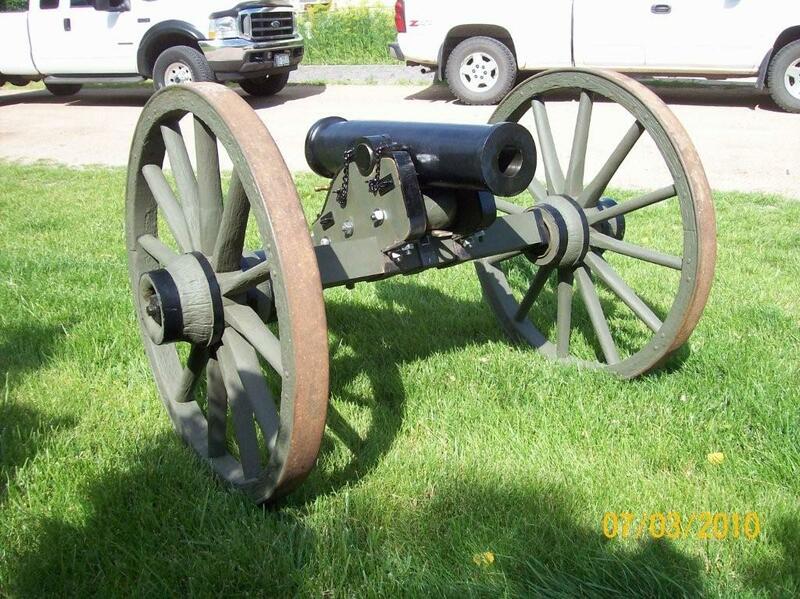 Mountain Howitzers are cast out of solid ductile gray iron. 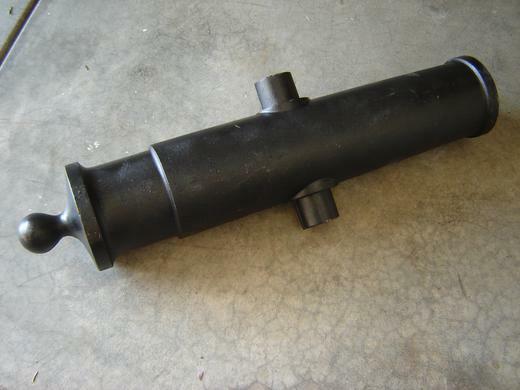 Barrels also have a seamless steel liner with a .3750 wall thickness and have a 3" plug professionally welded and pinned. 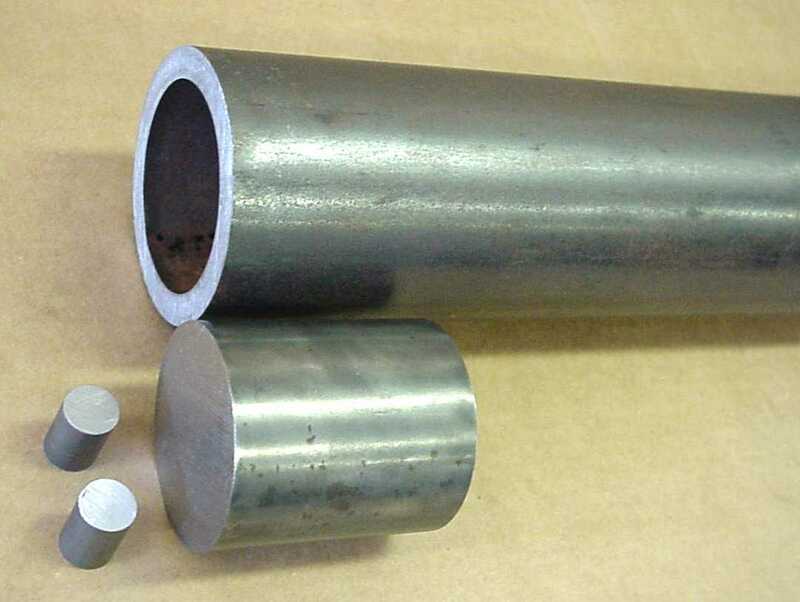 Tensile strength of steel liner is 75-80,000 lbs. 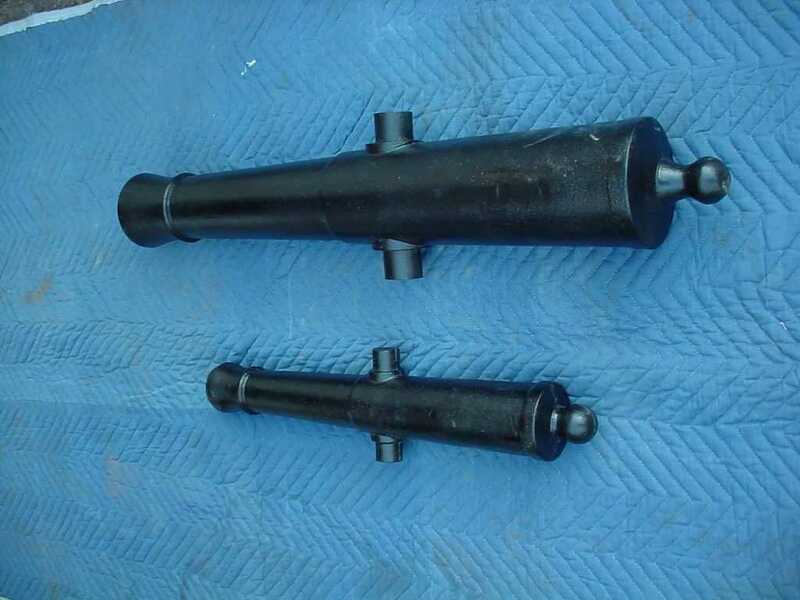 These barrels are also straight out of the mold, cleaned and ground. Fuse hole has not been drilled. 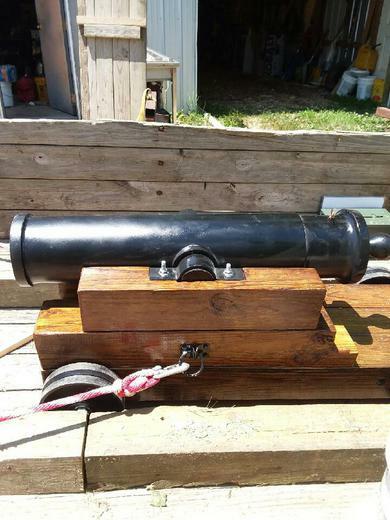 These are high quality cannons priced to save you a lot of money. 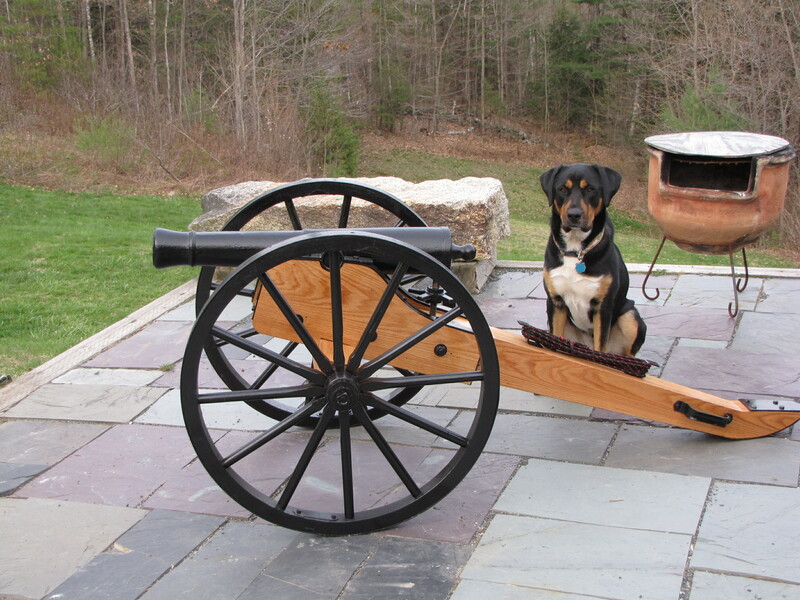 Each cannon comes with a copy of the number 1 field carriage. 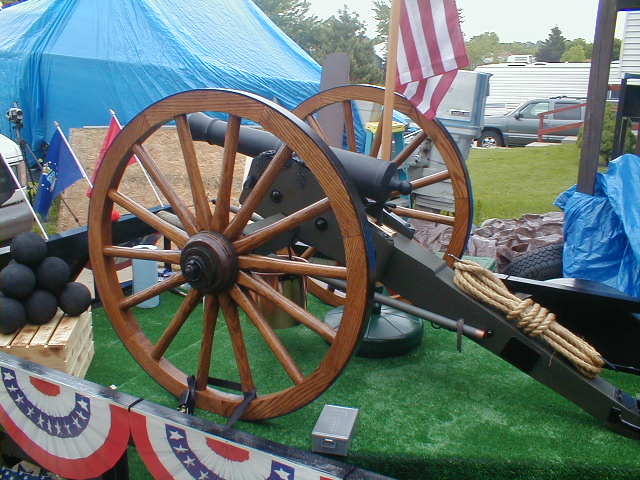 The mountain howitzer was the smallest cannon used during the civil war and saw extensive action on both sides, especially in the western theaters. 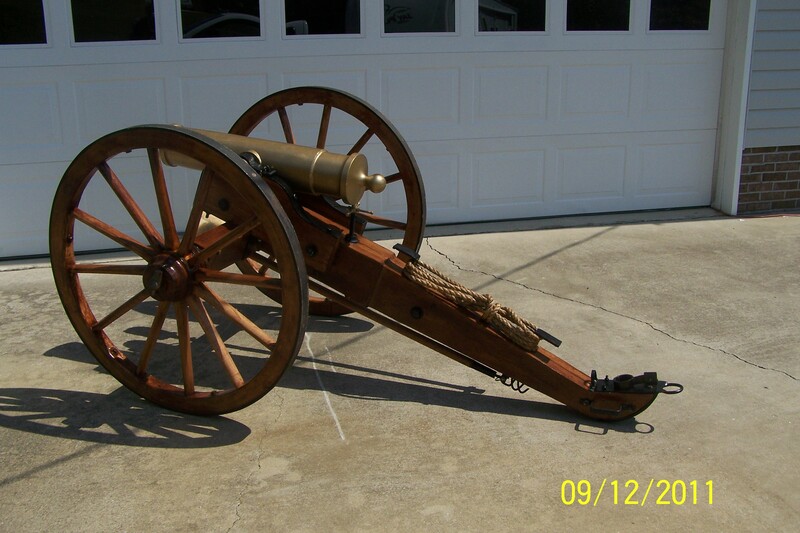 It shot the same ammunition (12lb) as the 1500lb Napoleon and regular 850lb Field Howitzer cannon. 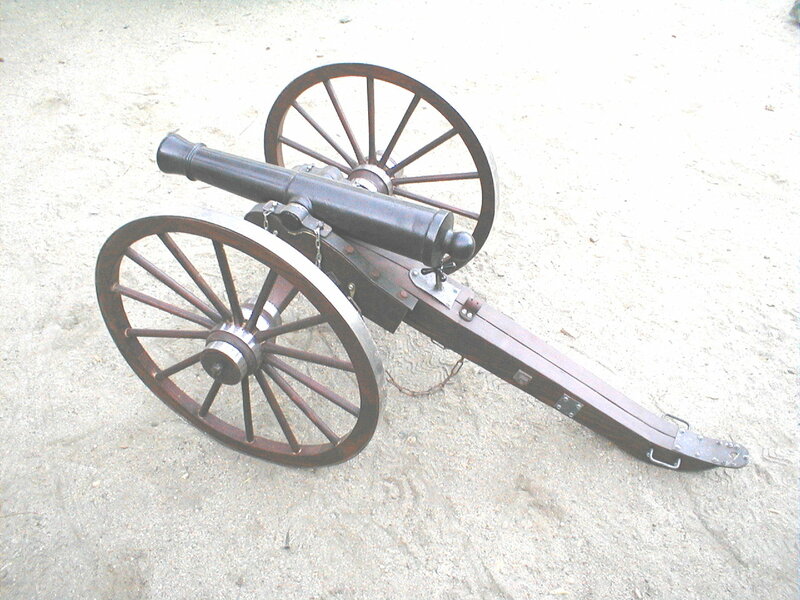 It became the favorite piece of artillery for the cavalry because it's size afforded it to keep up with a fast moving force and still pack a punch. 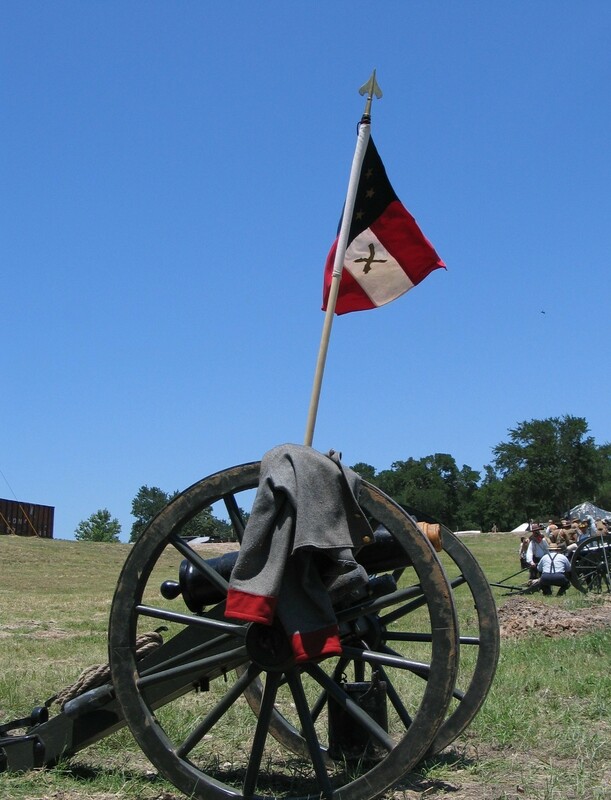 The mountain howitzer became the ideal cannon to be detached from an artillery battery and rushed to a position to stop a flanking movement or a breakthrough of the main line. 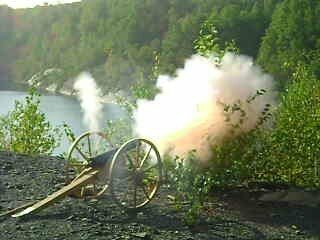 It also proved valuable in supporting a battery's position against an attack while the larger cannon engaged in counter-battery fire. 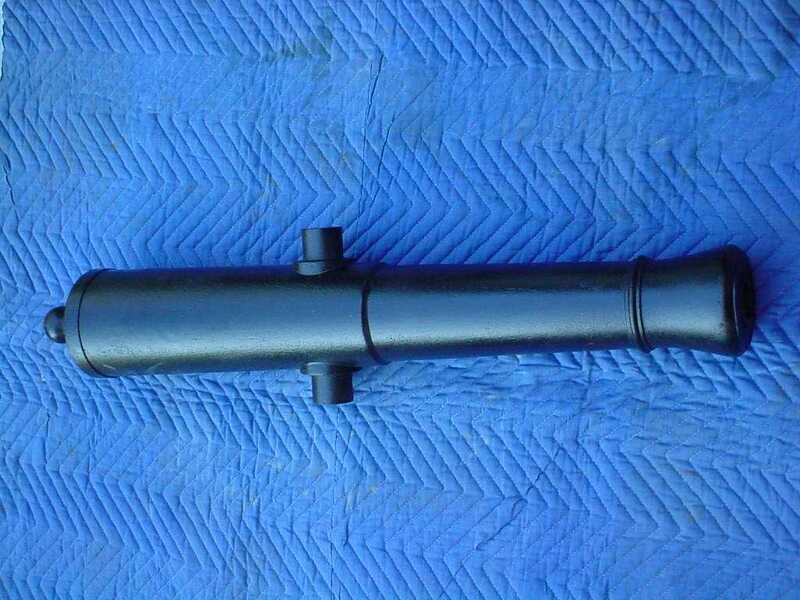 Maximum range was 900 yards though most shots took place between 200-500yds. 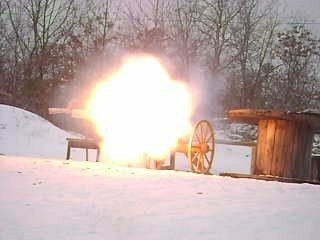 A favorite ammunition was the canister round which because of it's size acted like a sawed of shotgun when fired, scattering the .69 caliber lead balls in a deadly cloud. 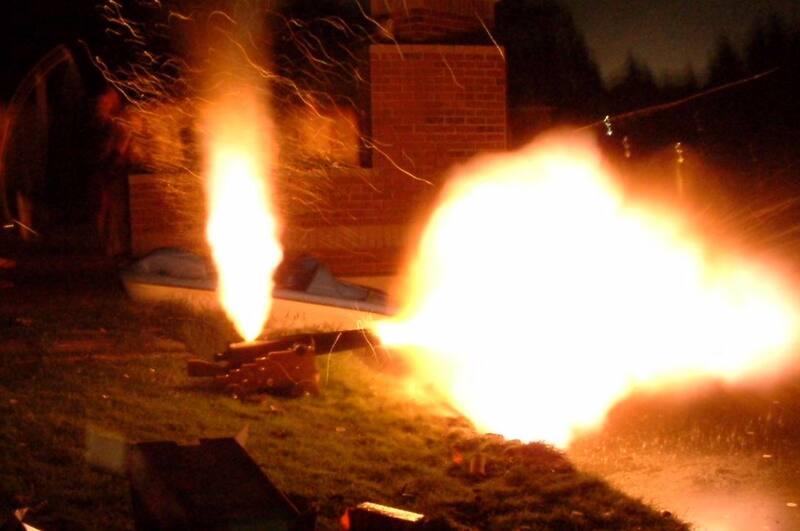 Exploding case and shell shot were also used to great effect. 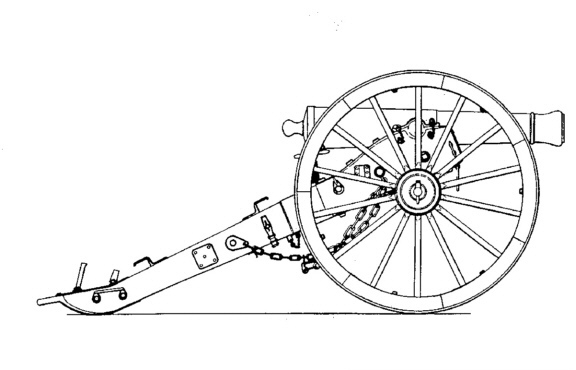 The mountain howitzer came on a variety of field carriages throughout the war. 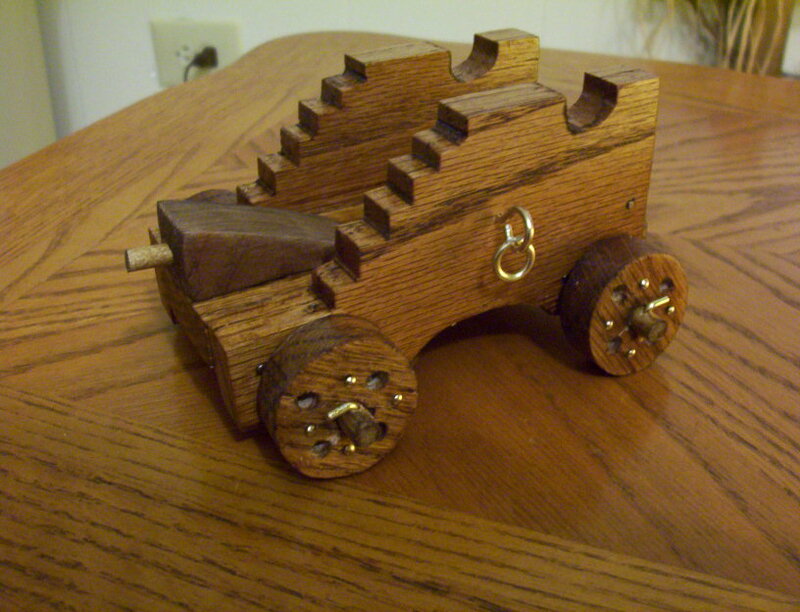 One being the pack carriage, which could be broken down and hauled on horses or mules over rough terrain. 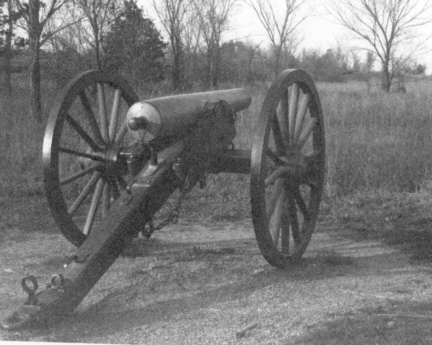 The other was the prairie carriage which gave way to a lot of hybrids including a 3/4 scale number one field carriage that was used on the majority of the other larger artillery field pieces.